Grounds and Landscape Operations is a division of Florida State University Facilities. 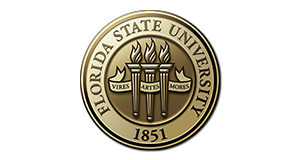 The general mission and goals of the Florida State University Grounds and Landscaping Operations is to consistently maintain a safe, clean, sustainable and attractively landscaped environment for the students, faculty, and staff of our institution. It is our desire to transform our campus into an arboretum. An arboretum is a place where trees, shrubs and herbaceous plants are grown for scientific and educational purposes. Plants are maintained, labeled, cataloged and mapped. Each arboretum is unique, due to the characteristics of the setting, the collections, and the research and educational goals. The mission of the Florida State University Arboretum is to preserve the stately historic campus landscape, to build upon the diversity of the collection with sustainable species, and to reinforce the aesthetic character of the campus. It seeks to provide visitors with a broader understanding of the campus landscape and promote long-term stewardship of the environment.